1. Yao LH, Chen JX, Chen HX, Xiang D, Yang C, Xiao L, Liu WH, Wang HL, Wang GH, Zhu F, Liu ZC*. Hypothalamic gastrin-releasing peptide receptor mediates an antidepressant-like effect in a mouse model of stress. Am J Transl Res. 2016; 8(7): 3097-3105. 2. Wang Y, Tang SM, Xu SS, Weng SH, Liu ZC*. Maternal Body Mass Index and Risk of Autism Spectrum Disorders in Offspring: A Meta-analysis.Sci Rep. 2016; 6:34248. 3. Wang Y, Tang SM, Xu SS, Weng SH, Liu ZC*. Association between diabetes and risk of suicide death: A meta-analysis of 3 million participants. Compr Psychiatry. 2016; 71:11-16. 4. Wan QR, Gao K, Rong H, Wu M, Wang HL, Wang XP, Wang GH, Liu ZC*. Histone modifications of the Crhr1 gene in a rat model of depression following chronic stress. Behav Brain Res. 2014; 271:1-6. 5. Liu ZC, Zhu F, Yao LH, Yang C, Xiao L, Wan QR, Gao K, Wang HL, Zhu JH, Wang GH, Liu WH, Xiao ZM.PDLIM5 gene polymorphisms and short term antidepressant response in Chinese major depressive disorder. Int J Clin Exp Med. 2013; 6(8): 677-682. 6. 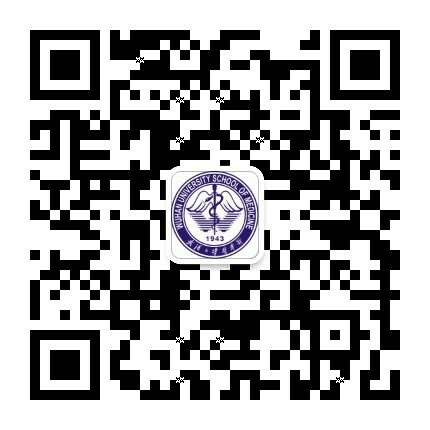 Liu ZC, Liu WH, Yao LH, Yang C, Xiao L, Wan QR, Gao C, Wang HL, Zhu F, Wang GH, Xiao ZM. Negative life events and corticotropin-releasing-hormone receptor1 gene in recurrent major depressive disorder. Sci Rep. 2013; 3: 1548. 7. Xiao ZM, Liu WH, Gao K, Wan QR, Yang C, Wang HL, Wang XP, Wang GH, Liu ZC*. Interaction between CRHR1 and BDNF genes increases the risk of recurrent major depressive disorder in chinese population. PLoS ONE. 2011; 6(12): e28733 (1-5). 8. Liu XY, Liu ZC, Sun YG, Ross M, Kim S, Tsai FF, Li QF, Jeffry J, Kim JY, Loh HH, Chen ZF. Unidirectional cross activation of GRPR by MOR1D uncouples itch and analgesia-induced by opioids. Cell. 2011; 147(2):447-58.